Lorde has been performing in New York City during the lead-up to tonight's 60th Grammy Awards, but the Melodrama singer reportedly won't be performing at the awards show. She's the only female artist nominated for the night's top honour, Album of the Year, alongside Childish Gambino, JAY-Z, Kendrick Lamar and Bruno Mars — but also the only nominee from the category that was not offered a slot to perform solo during the show. Variety reports that a source close to Lorde said that the New Zealand-born singer was approached to sing "American Girl" as part of a Tom Petty tribute, but she declined. Organizers and Lorde were unable to come to a different deal prior to showtime. Many have accused the Grammys of gender bias for offering the male performers the opportunity to perform songs from their nominated albums. "Of the 899 people nominated in the last six Grammy Awards, the report found, 9 percent were women. (This year, Lorde is the only woman nominated for album of the year; she is not scheduled to perform.)" She simply captioned the clipping: "This says it all." 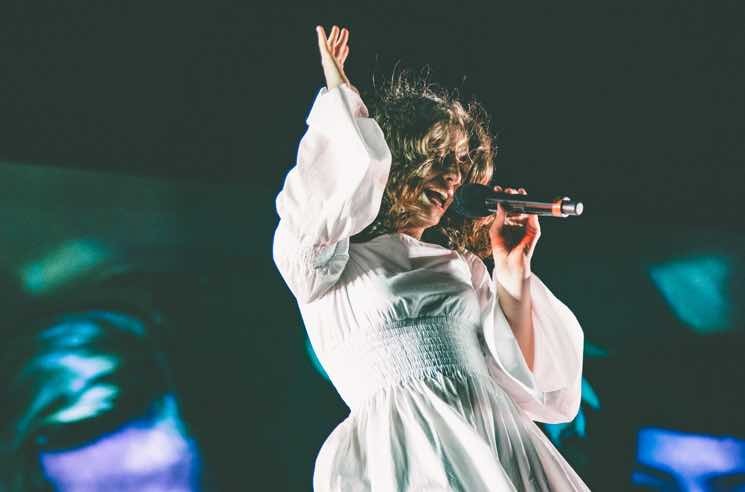 UPDATE (1/29, 12:30 p.m. EST): Lorde has seemingly responded to the controversy, assuring Grammy producers and viewers alike that she's more than capable of delivering a killer live performance. Lorde and her mom aren't the only ones baffled by the performer omission, though. "Maybe we should let Lorde do a song by herself." "Ehh, doesn't feel right for the zeitgeist. Did they film the Sting skit yet?" Watching these extremely LONG performances really drives home Lorde's alleged Grammys boycott.......they really couldn't give her a solo spot? Lorde has previously won two Grammy Awards, taking home Song of the Year and Best Pop Solo Performance for "Royals" in 2014. She performed at the ceremony that year. Head over here to keep tabs on all of tonight's Grammy winners. Melodrama is available to pre-order on standard vinyl and deluxe blue vinyl through Umusic.